Google has a new doodle so it must be so. My Oxford English Dictionary (OED) says autumn is “the season after summer and before winter”. Hmm… okay. And summer is the season after spring and before autumn, and winter the season after autumn and before spring? Well, yes! Thankfully, the OED has a little more to each entry, keeping me from falling into a definitional whirlpool from which I might never escape. So, for the OED it’s all about temperature. To be fair, this is from the compact OED. The maxi version may go further. Their definition is for statistical record-keeping and comparison. So, for the Met Office, it’s been autumn for over three weeks. So why are we, and Google, only just getting round to it? The Met Office blog helps us out again . It’s all down to defining the periods of seasons in terms of astronomical events, specifically equinoxes and solstices. Last night, British Summer Time, was the equinox at the start of autumn, unsurprisingly called the autumn equinox. This astronomically inspired definition makes sense. According to Wikipedia: “an equinox occurs when the plane of Earth’s equator passes through the center [US spelling!] of the Sun.” This only happens twice a year because the Earth’s axis is tilted relative to the plane of its orbit around the Sun. This leads to different lengths of day as the year progresses and, in turn, to differences in how much warming we get from the Sun. And this underpins weather and climate, and thus the seasons. But for most of us the seasons are marked by what we experience. Two weeks ago, Monty Don, presenter of the BBC’s Gardeners’ World said autumn seemed to have been “two to three weeks ahead of time”. For him, and countless other gardeners, the seasons are marked by what is happening in nature. Back to the Met Office blog and another new word for me: “phenology – the process of noting the signs of change in plant and animal behaviour”. 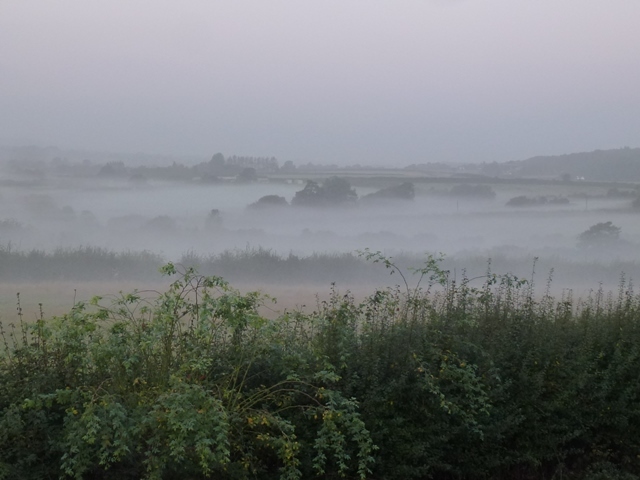 Looking out of my study window, there is a lush, green landscape shrouded in mist. In the hedgerow over the way I can see blackberries, rosehips and haws – plenty of ‘wild’ fruit for all. Mist. Fruit. This feels very phenological to me.